Not freestanding. 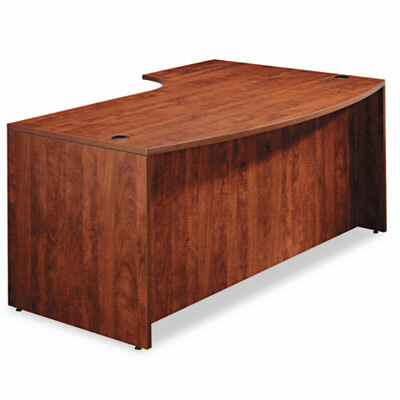 Use with a Return/Bridge Shell to create an "L" format; add a Credenza Shell to create a full "U" workstation. Computer corner is ideal for keyboard or laptop use. Commercial-grade laminate worksurface and side panels are water-, scratch- and stain-resistant. Charcoal accent line under worksurface adds a distinctive touch. Computer corner is ideal for keyboard or laptop use. Protective 3 mm PVC edge banding helps prevent damage from bumps. Two grommets for cable and wire management. Full-length modesty panel for privacy. Not freestanding. Use with Return/Bridge Shell to create an "L" grouping; add a Credenza Shell to form a complete "U" workstation.